Have you ever wondered what to do with an energy bar wrapper or drink pouch after the last bite and sip? 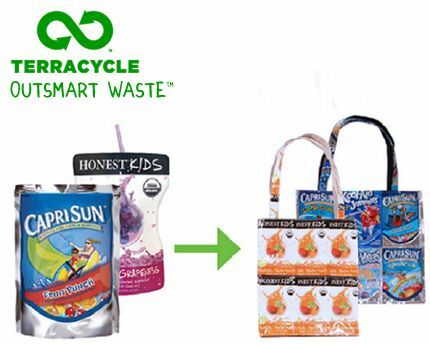 TerraCycle, an innovative recycling company, started considering options to keep hard-to-recycle waste out of the landfill in 2001. They offer a wide range of free programs funded by conscientious companies and provide recycling solutions for almost every form of waste from hand warmers to toothbrushes to cigarettes! St. Louis is participating in the cigarette waste recycling, so look for the receptacles around the city. ‘To date, over 60 million people in 20 countries have helped to collect and recycle enough waste to raise over 15 million dollars for charities around the world.’ To learn more about TerraCycle and how to send your waste click here.